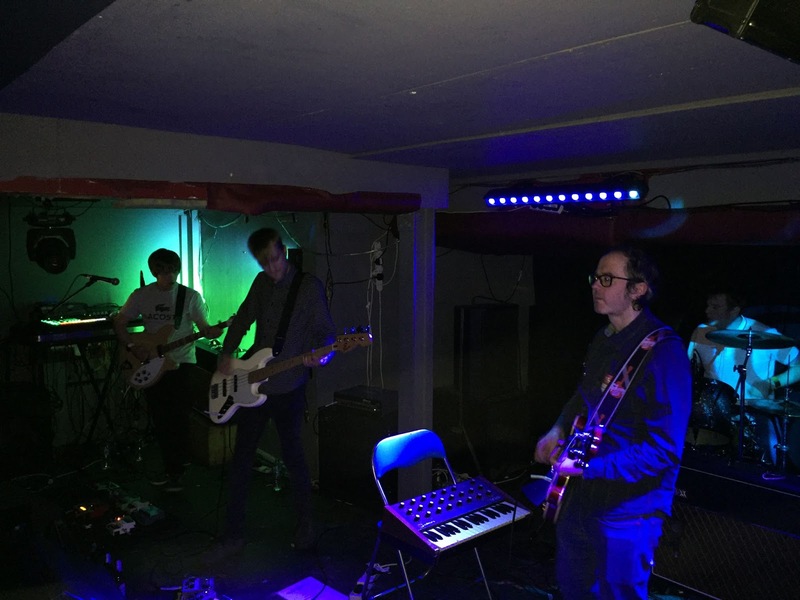 The fourth Lucid Dream long player Actualisation is their best work to date. Tonight in Glasgow, it is played almost in its entirety with the remaining symphonies in the set drawn from 2014's Compulsion Songs. Wasting no time in getting down to business, the pulsating nine minute opus Alone In Fear gets the show underway. Drawing inspiration from Primal Scream's Vanishing Point and Evil Heat albums, Alone In Fear is a fusion of dance, rock and psychedelia, with singer / guitarist Mike Emmerson augmenting The Lucid Dream sound with his array of effects and sequencers. Out front, Mike Denton plays commanding bass lines as Alone In Fear builds to an thunderous conclusion. The sell out crowd love it. Bad Texan has a groove and a swagger thanks to drummer Luke Anderson whilst guitarist Wayne Jefferson punctuates every beat with some vintage riffs. Emmerson's hypnotic vocals complete the sound. Each and every Lucid Dream song featured tonight is epic with the seven minute Bad Texan being no exception. The appreciative crowd treat this, and each and every song, as a triumph. The tempo changes as Bad Texan makes way for the dubtastic I'm A Star In My Own Right. Zenith follows with Emmerson's “always here in my heart” vocal resonating around the venue. The funk infused Breakdown sounds massive and the crowd are completely mesmerised. Arguably 2018's single of the year, SX 1000 gets the best reaction of the night; “if you've been taking illegal pills, you might like this” announces Emmerson before the drum machine and Jefferson's simple yet hypnotic keyboard riff take over. Who would have thought an acid house track in 2019 would court such adulation? How do you top that? Ardency is a return to a more traditional psychedelic path yet it is packed with lots of styles and possibilities. The Stereolabesque Epitaph runs for nearly a quarter of an hour and rounds the set off. Fans travelled from all over the country to catch tonight's show such is their devotion to the cause. Anyone who witnesses The Lucid Dream live cannot fail to be won over by their unique sound. There might only be four of them up on stage, but each and every one of them conjurers up magic. 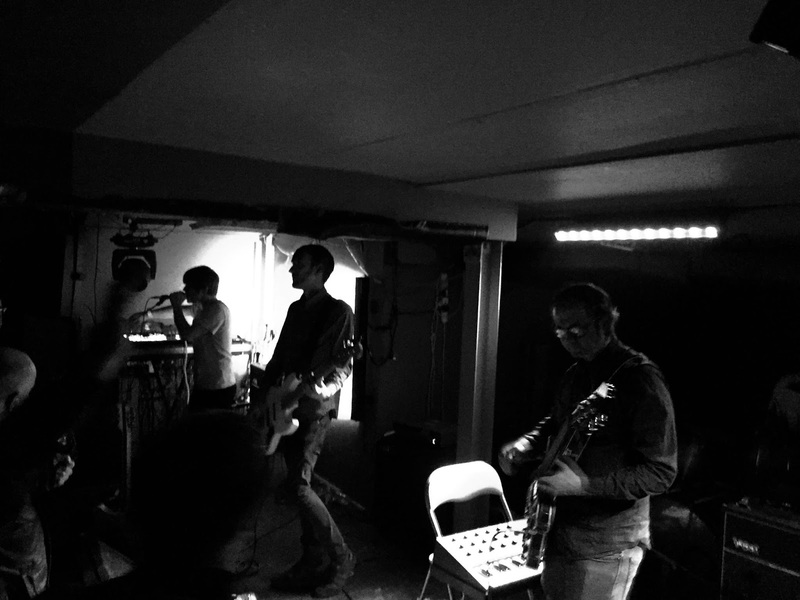 We caught The Lucid Dream wowing a Manchester audience at Band on The Wall last spring, before Actualisation was released. Whilst they impressed that night, they have continued to grow in confidence. The new songs (if you can call them that) are truly embedded in the set and the recent home town show in Carlisle, and tonight's show demonstrate they have turned things up another notch. The Lucid Dream are dedicated to their craft and their audiences know that. They are undoubtedly one of the best live bands around at the moment and they deserve all the accolades they receive. The Actualisation album tour calls at Liverpool District (8), Manchester Yes (9), Birmingham Hare And Hounds 2 (10) and Newcastle Cobalt Studios (16). The album can be bought directly from the band here.